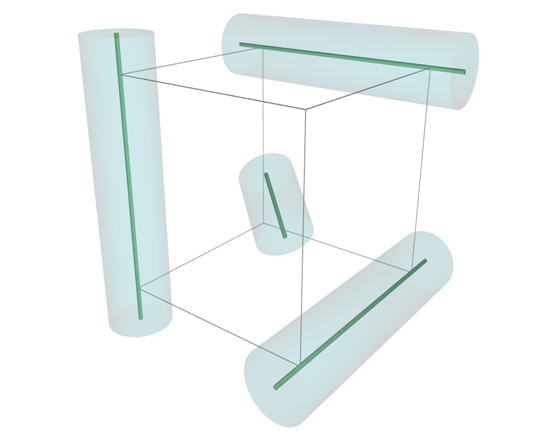 Soft Condensed Matter Physics studies structure, dynamics, phenomenology of complex systems (CS): (bio)polymers, colloids, cells, porous materials, liquid crystals. These systems feature •no translational symmetry and are noncrystalline. Molecular rearrangements may be very fast (THz)or ultra-slow (µHz) and occur across the micro-, meso- and macroscopic scales. There is disorder at the molecular scale, homogeneity at the macroscopic and •some order at the mesoscopic scale due to a delicate balance ofinternal interactions and thermal effects. At the Institute of physics, Zagreb (IFZ) we have experimentally addressed mainly the field of polyelectrolytes, charged polymers in aqueous environment. Long-range Coulomb interaction in these systems provides experimental physicist with a rich phenomenology to study. T. Vuletić has started with this field of research in parallel to his Ph.D. (2004, in the field of solid state physics), while working in the group of S. Tomic. He designed and built a capacitive chamber for dielectric (impedance) spectroscopy (DS) of aqueous samples. DS setup was a basis for studies of polyelectrolytes by S. Tomic group, as it may provide indirect information on form factor of the polyions and the solution structure factor. Since these initial efforts, more coworkers from IFZ were recruited. D. Aumiler constructed a fluorescence correlation spectroscopy setup (FCS , see also http://proteassist.ifs.hr/) . FCS measures the diffusion coefficient of the fluorescently labeled probe as a function of its environment. Thus, a dynamics study of the probe itself (e.g. labeled DNA) and the matrix polyelectrolyte is enabled. Then, K. Salamon (IFZ) and G. Pabst (Uni Graz) came along with construction of a small angle X-ray scattering setup (SAXS). SAXS provides a direct structural information on the polyion and solution. Indeed, DS and SAXS are rather complementary, as SAXS is applicable for higher and DS for lower concentrations of polyelectrolytes. At the moment, DS, FCS, SAXS provide a set of techniques at IFZ that enable dynamic and structural studies of polyelectrolytes in solution. Due to our prohibitively limited material resources these home-built setups are in a constant state of maintenance and repair, however we are confident that our recent publications confirm that we may utilize them to their best effect (see Ref. 1&4 below). Finally, work is underway, principally by Ph.D. student I. Delac Marion, supervised by T. Vuletic and M. Kralj (graphene, solid state surface science, scanning probes expert) to utilize expertise in DNA and polyelectrolytes and graphene available at IFZ. An AFM instrument, acquired by IFZ recently, will be used for a study of a graphene templated DNA self-assembled monolayer. D. Aumiler, S. Wang, X. Chen, A. Xia, Excited state localization and delocalization of internal charge transfer in branched push-pull chromophores studied by single-molecule spectroscopy, J. Am. Chem. Soc. 131, 5742 (2009). W. Lv, X. Chen, D. Aumiler, A. Xia, Single molecule fluorescence fluctuations of the cyanine dyes linked covalently to DNA, Sci. China Ser. B-Chem. 52, 1148 (2009).